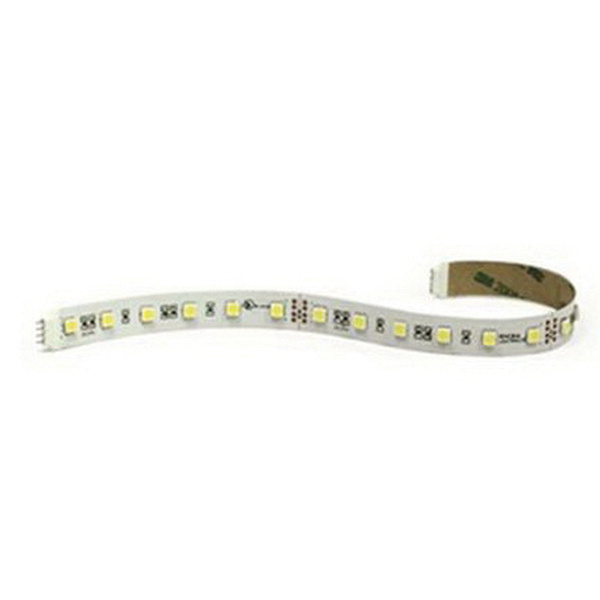 Nora Lighting LED Tape light delivers 70-Lumens of warm white light at just 1.5-Watts/ft. It has a color temperature of 3000K and CRI of 90+ for superior color rendering. It features up to 50000 hour bulb life. The tape light can be field cuttable every 4-inches and separable every 12-inches, easily disconnect and connect without soldering. It is easy to install with pre-applied 3M tape, clips or channel. It is supplied with 16-ft roll, (15) clear acrylic clips (NATL-401) and (1) 9-Inch power line interconnector (NATL-509). LED tape light is cULus listed.